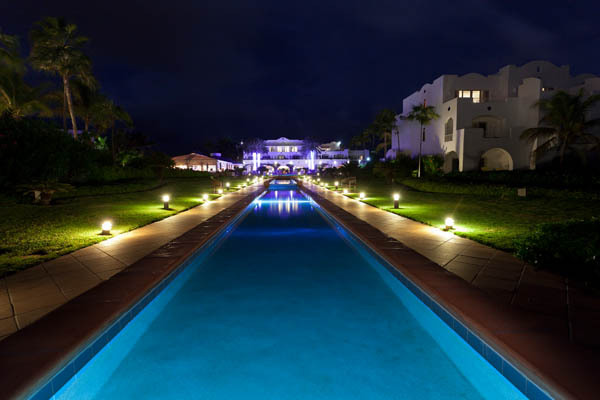 CuisinArt Resort is an award winning destination, and a member of the leading hotels of the world. The beachfront resort offers astonishing views and a Caribbean escape. 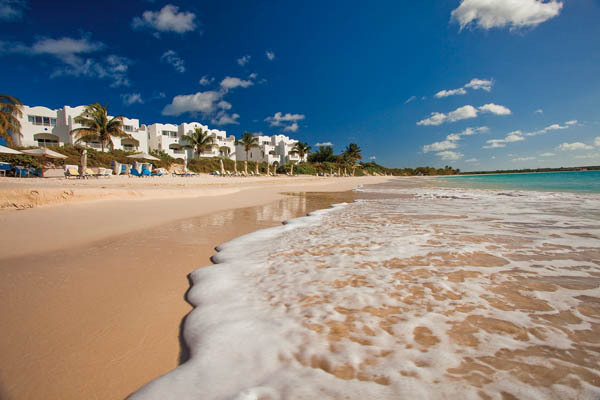 Anguilla is home to beautiful white sandy beaches overlooking the Island of Saint Martin Island. A laid back atmosphere dominates the island, with friendly locals and welcoming services. Looking for an elegant, relaxing getaway? With breathtaking views, CuisinArt Resort and Spa is located in Rendezvous Bay on the Caribbean Coast. 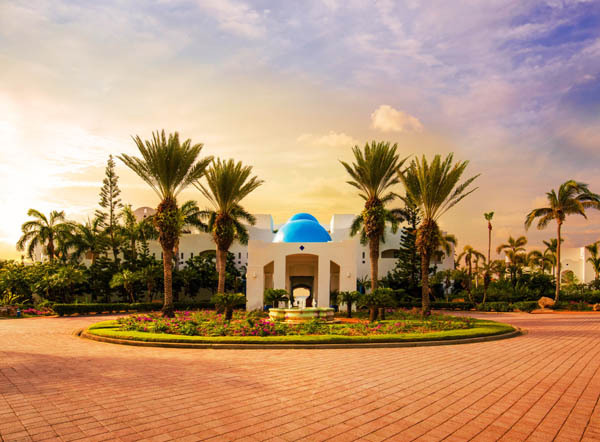 An upscale resort that features a luxurious experience, and Mediterranean style buildings that are just steps away from the turquoise water, where palm trees cast shadows along the stretch of white sand. The resort has 98 luxury suites and features a 18-Hole Champion Golf Course, designed by Greg Norman. 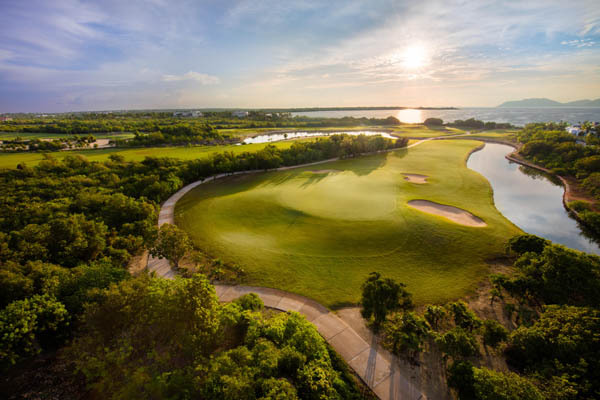 Seek out the breathtaking views and challenge yourself to this course in paradise. CuisinArt accommodates guests with various golf packages for your stay . 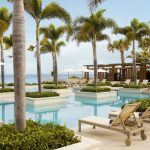 Choose from 91 suites and 7 villas and explore your options with a variety of packages and promotions to make your trip to Anguilla unforgettable. Packages are designed for a variety of interests. They are Girlfriends Getaway, Tee Up and Revive, Spa Indulgence, Sea of Love, Wedding, and many more. Each package offers unique amenities that will leave you in peace at mind. The beachfront Suite offers stunning ocean views with a private terrace. Looking for more privacy? The penthouses have up to 4,000 sq. ft. overlooking the beach and sea. They offer a private jacuzzi and full kitchen. Villas will have beachfront, garden, and oasis views. The exclusive villas will resemble your own dream beach home. Choose between a one bedroom or three bedroom villa with a private pool. Think you’re in paradise yet? 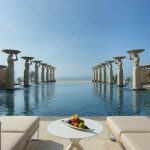 Staying in the villas, you will have private access, outdoor shower, powder room, and private solarium. With temperatures at an average of 80 degrees and a perfect breeze, await your longed for trip, to an island with brilliant blue skies. Live up the endless activities, ultimate scuba diving, and tours of the island on bikes. The array of exciting adventures offer history and culture. Adventure on a boat for exploring and fishing. 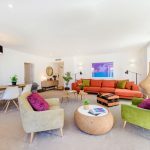 Explore the splurge worthy services at the Spa Facilities that have gained recognition for their therapeutic treatments and technology. Rejuvenate at the Venus Spa and experience the essence with a true Anguilla massage or a romantic couple massage. Try the “European Seaweed Facial” after a long in the sun or the “Caribbean Sea Salt Glo” that will leave your skin feeling refreshed, smooth, and your entire body glowing. The exceptional service and stunning architecture will lead you in a state of ultimate bliss. 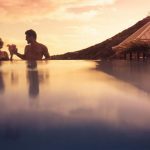 Once your stresses are melted away by the island sun, wine and dine at the sensational restaurants and bars. Indulge in the many different cuisines on the resort. The Lobby bar offer delectable blends of fruits, herbs, and spices. At the Beach Bar, try the divine tropical drinks, smoothies, and homemade lemonade. Tokyo Bay offer authentic Japanese food and enticing decor. At Le Bistro at Santorini, savor the flavors of the chef’s personal menu in a private dining room. In the CuisinArt Golf Club that overlooks the ocean try the Italia Restaurant for elegant outdoor dining. Cafe` Mediterranean offers island grown fruits and vegetables and local flavors. Raise your glass to the fading sun and enjoy the warmth of a private dinner on your balcony or the beach, between you and a loved one with a three course meal and the sounds of the ocean waves. 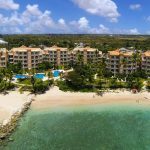 In the wind of November 2016, CuisinArt is pleased to announce the opening of The Reef. Adding more beach front villas, a central pool and casual beachfront dining, CuisinArt will pursue a contemporary feel. It is a reflection of the owner’s love for the island. The Reef will have have four beachfront villas that includes thirty rooms. The lobby will be in the main building where there will be fifty rooms. The spacious layout has ten rooms and on each five floors. 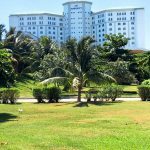 You will be steps away from a seafood restaurant and the central pool. 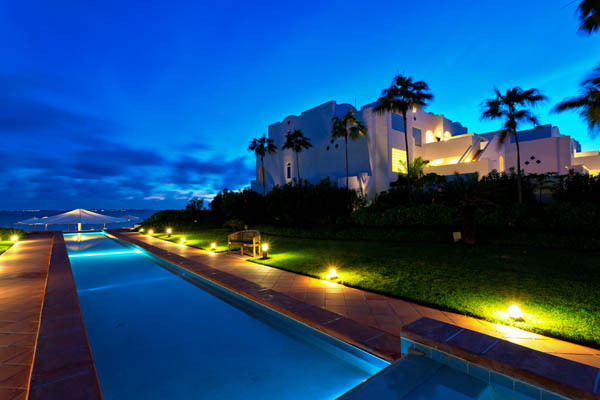 If you fall in love and don’t want leave Anguilla, CuisinArt is excited to offer breathtaking oceanfront property. Residences by CuisinArt is a new real estate development. 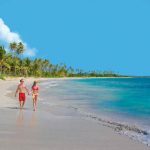 You can purchase homes on an island that was voted, the best beaches in Caribbean. The location is tropical, beautiful, and desirable. The homes feature be 2-5 bedrooms, high ceilings, white exterior and located in an exclusive, private terrain, consisting of 300 acres. The homes have a open modern feel that fashion an outdoor/indoor ambience. While overlooking the white sandy beaches and spectacular views, you will find paradise wherever you go. Purchase a home in one of the sunniest countries of the world with the perfect temperature year round. Visit a truly unique oasis, where your surrounded by serenity and turquoise waters. There are endless ways to make dreams come true. PreviousPrevious post:RAND LUXURY Hosted A Private Brunch with Rolls-Royce ManhattanNextNext post:Cars, Coffee and Clothes…Oh My!